Many iPhone users will send and receive picture messages through the Messages app, which arrive as iMessage if the recipient and sender is an iPhone user, or as MMS if the person is an Android or Windows phone user. Typically picture messages send without any issue, but if you are experiencing a problem where iPhone is not sending picture messages, read the steps below to resolve the difficulty in short order. Note these steps are taken on the user end with your iPhone, if the recipients phone is having a problem, you’d have to have them follow the instructions separately. Picture messages will work across platform to and from iPhone, Android, Windows Phone, and other devices, assuming the necessary services and cellular mobile plan are available. If the phone or recipient has no data plan or service plan, the device will not be able to send or receive any pictures without a wi-fi connection. 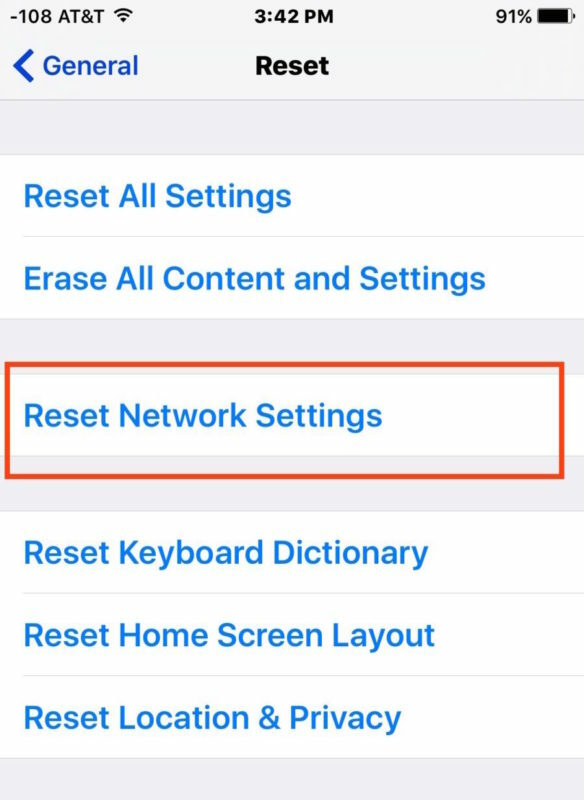 These steps apply to all iPhone models running all versions of iOS, it does not matter which device or version is running on the phone. To send pictures through iMessage, the iPhone must have an active cellular data plan or wi-fi connection. Cellular data can be turned off if there is an active wi-fi connection instead, you can confirm that by swiping up from the bottom of the iPhone screen and tapping on the wi-fi icon to be sure a wireless connection is active and enabled. MMS Messaging is mandatory if you wish to send and receive picture messages from any Android, Windows phone, Blackberry user, and also any iPhone user who is not using iMessage. 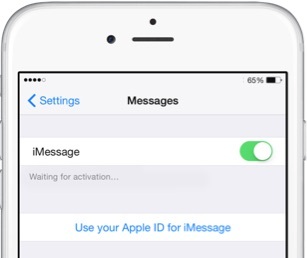 Note if you see “iMessage waiting for activation” then you may want to toggle the service. 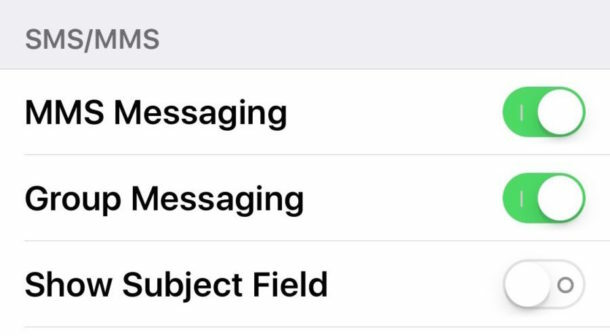 Sometimes simply toggling iMessage off and back ON again can also remedy issues with iMessage. Rebooting the iPhone can often fix erroneous behavior and other simple troubles, including an inability to send photo messages with iPhone. This forcibly reboots the iPhone which often fixes problems with message sending and other strange behavior in ioS. This will reset any remembered wi-fi connections as well as customizations to DNS and DHCP, so be prepared to enter passwords and any such data for wifi connections and routers again. Have any other tips or tricks to remedy a problem sending photo messages from an iPhone? Let us know what works for you in the comments, the vast majority of the time the steps above will fix your issue though! This happened to me and drove me crazy. Had 3 level 2 tech from apple, plus apple engineers working on the problem. Submitted all info to Verizion level 2 tech. And still unsolved. Could not send from phone or computer. Then found the solution. My internet company ( Summit of South West FL.) did not keep up with the something! The work around and a temporary fix is to do the following. This is the DNS / Google server: Below is the letter from computer company. questions, feel free to give a call back. Verified on multiple customers that changing DNS does take care of issue. Anyone know the fix? Thanks. Had the same issue. Try this: Settings -> Cellular -> #hashtag images set to “on”, also check that Photos is also set to “on”.